This is a sobering sight for anyone. Mounds of trash as far into the horizon as the eye can see. Do we really want this to be our legacy? Everyone could stand to be a bit friendlier these days. We don’t know if this mutt’s name is actually Smokey, but it would be pretty ironic. 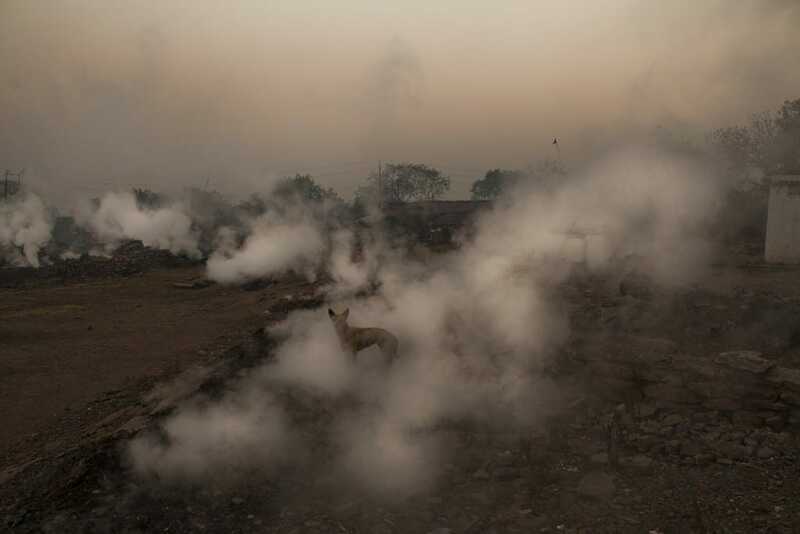 This dog is caught in the fumes of Indian coal mines. Who knows the damage that’s going to cause to his insides. 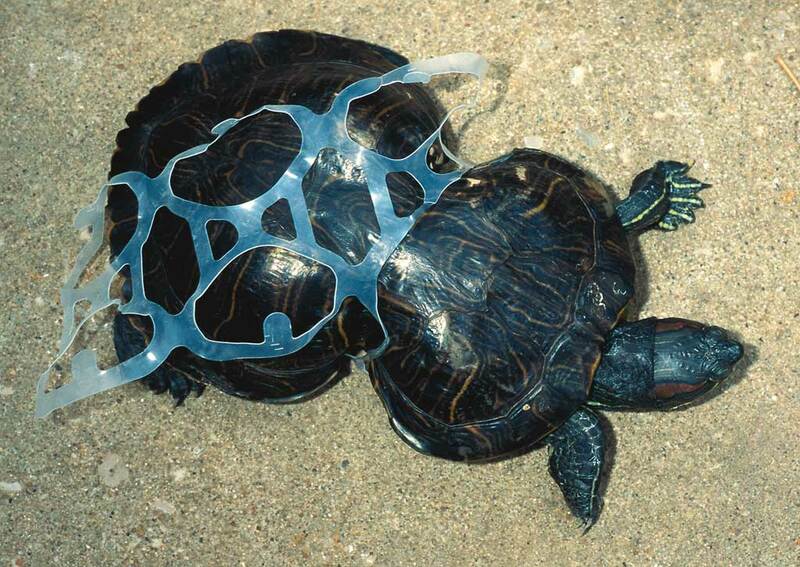 This is a really upsetting photo that shows the need to cut up and dispose of plastic rings properly. This tortoise must have caught one around him at a young age and has grown deformed as a result. This shows you just how bad it’s become nowadays. 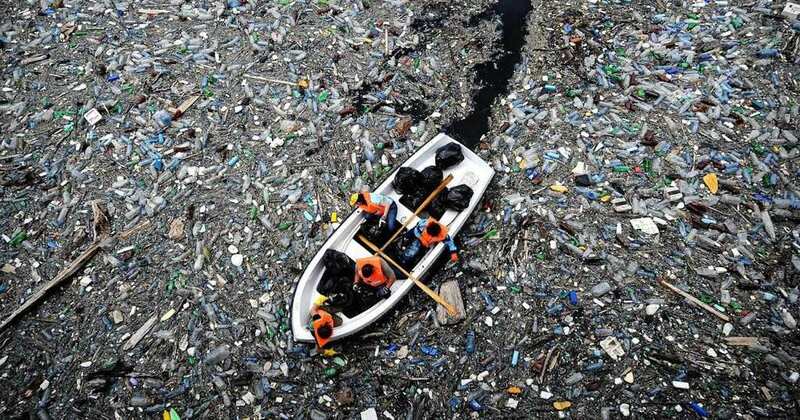 This area of the Pacific Ocean is literally a sea of trash. Looking at it undisturbed you’d never know there was vast blue ocean underneath. 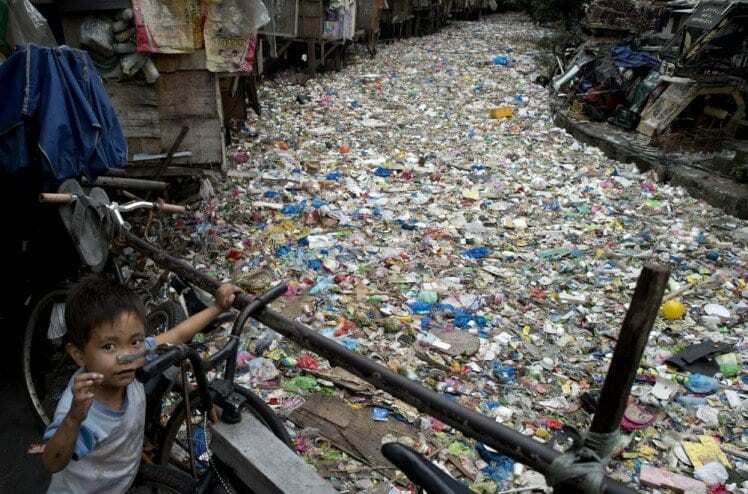 Check out this little kid in the Philippines, having to negotiate a maze of trash in the rivers and waterways of his town. Imagine how much nicer and healthier this water would be if the trash had been recycled. China is an emerging world Superpower, but that doesn’t make them perfect. Their pollution levels are so severe that they’ve become unsafe. People often have to wear masks like the woman depicted. 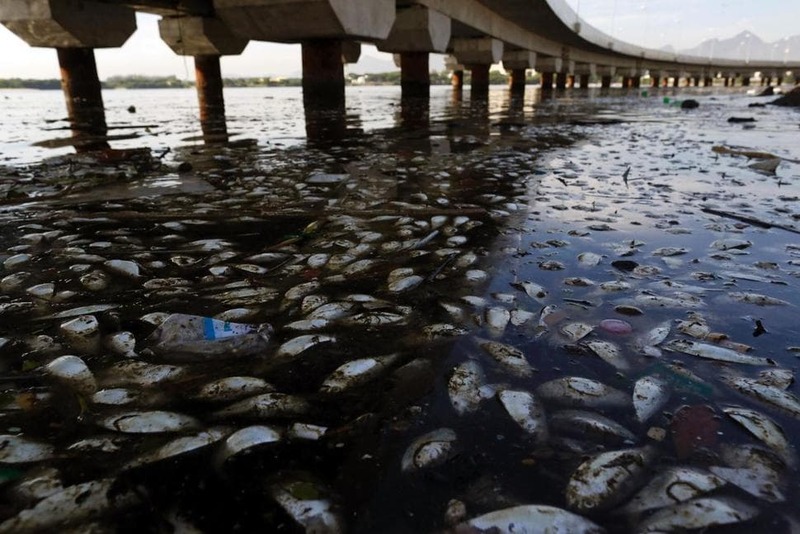 You might remember the recent Olympic Games in Rio and the controversy surrounding pollution. 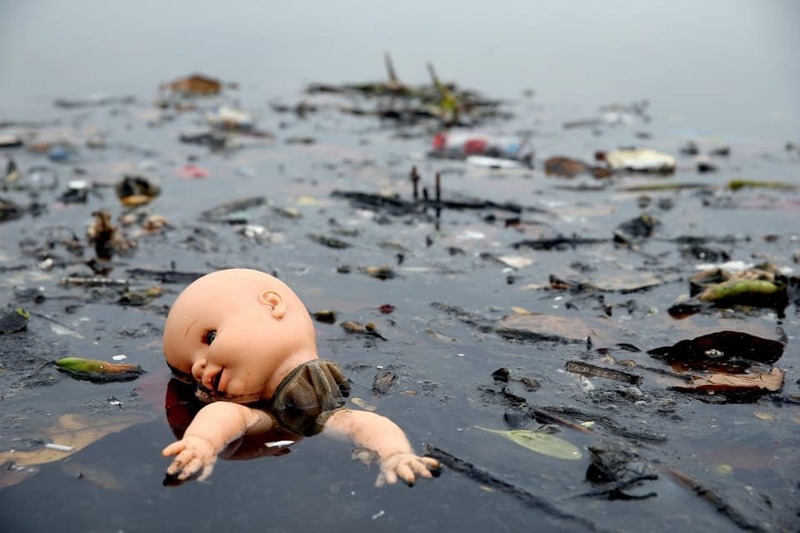 Many of the Brazilian waterways are contaminated, and there was a genuine concern for athlete safety. The terms six pack and hourglass sound great, but not when they apply to amphibians! 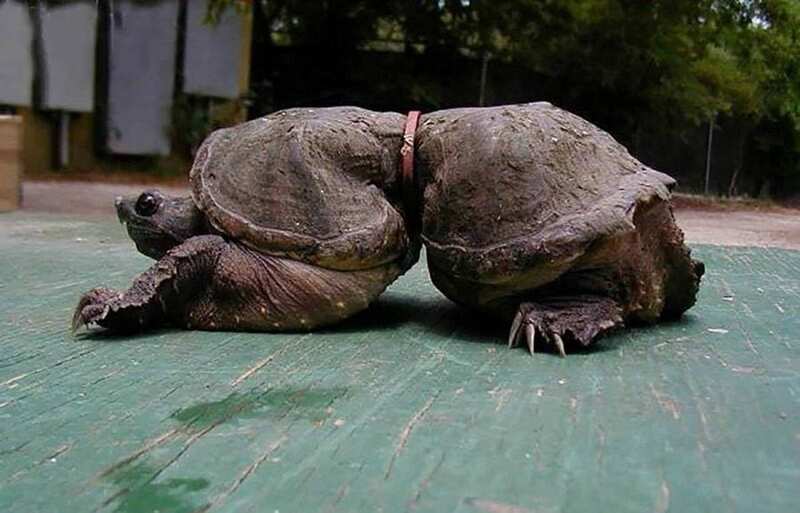 This is another tortoise displaying the damaging after effects of being caught in a plastic ring. Well, this is just disgusting. 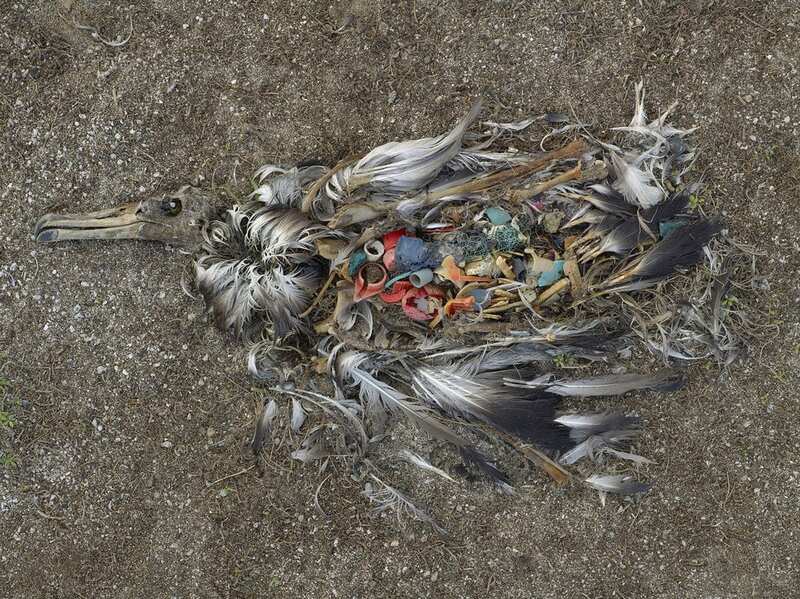 This bird seems to have ingested so much garbage that it has died as a result. 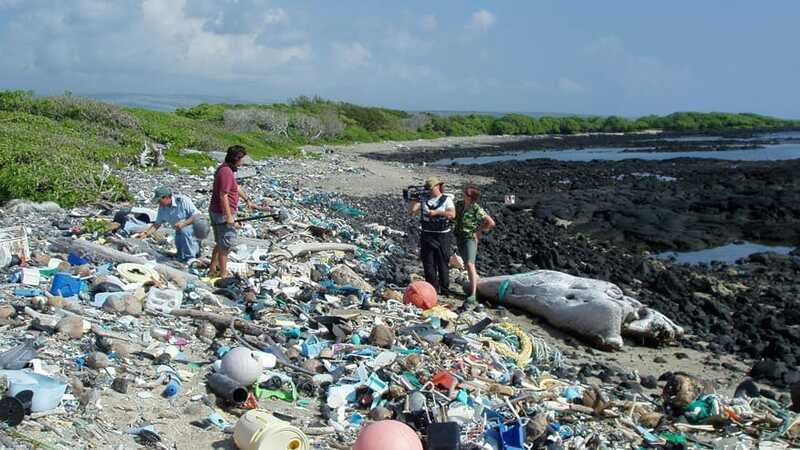 We really need to keep a better eye on our beaches and islands to make sure they stay clean. The sad thing about this photo is that it hasn’t been doctored. That really is what looks like a city of bottles! We’re sure there is or once was water under there somewhere, and that’s an alarming thought. 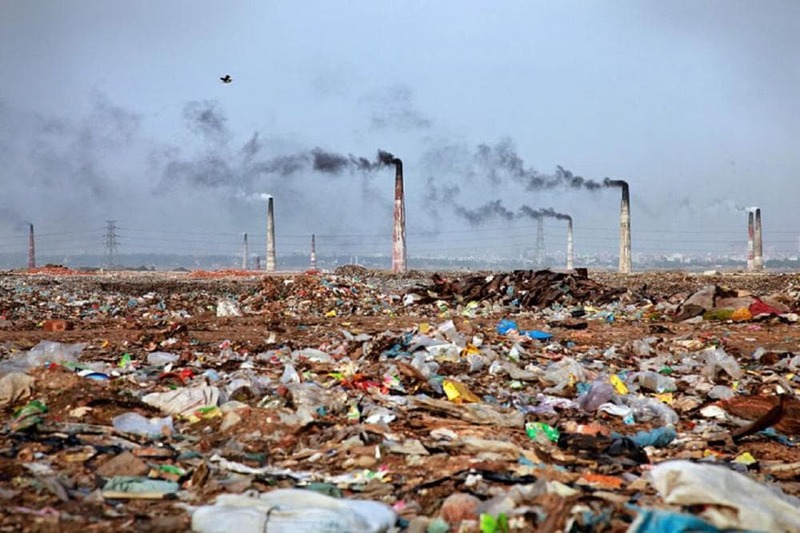 And this, guys, is the reality of pollution these days. It’s not just rivers and oceans affected; it’s the animals as well. 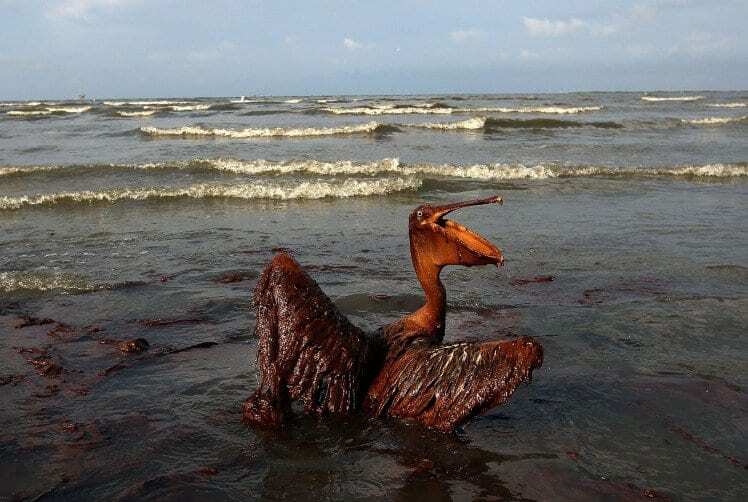 This once majestic brown pelican becomes the latest victim of a catastrophic oil spill. 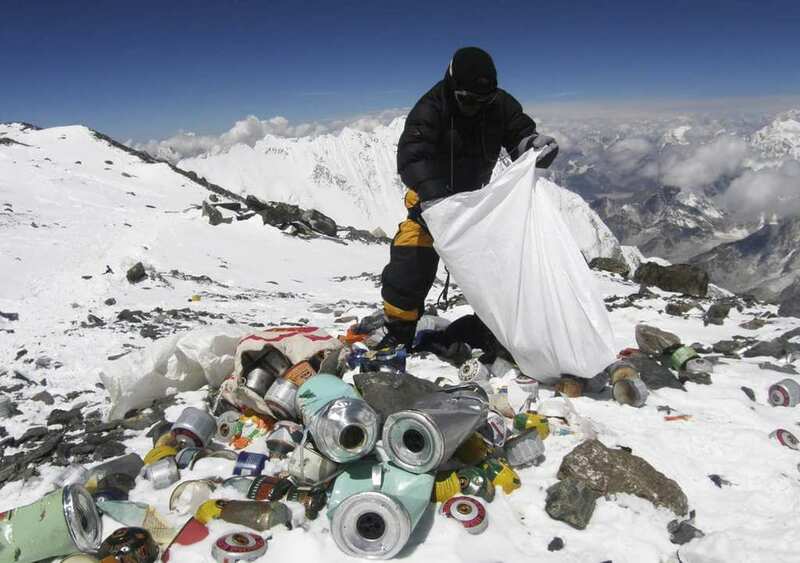 It’s a shame that something as terrifyingly grand and beautiful as Mount Everest can’t be kept tidy. Look how much this rubbish really ruins and affects the landscape around it. Such a pity. You might think it’s just fish and birds affected, but it’s all the animals. This seal has her nose trapped in some kind of beaker. This is an emergency for her because if she can’t get it off she’s going to die. Funnily enough, this isn’t a new fashion cultivated by storks. 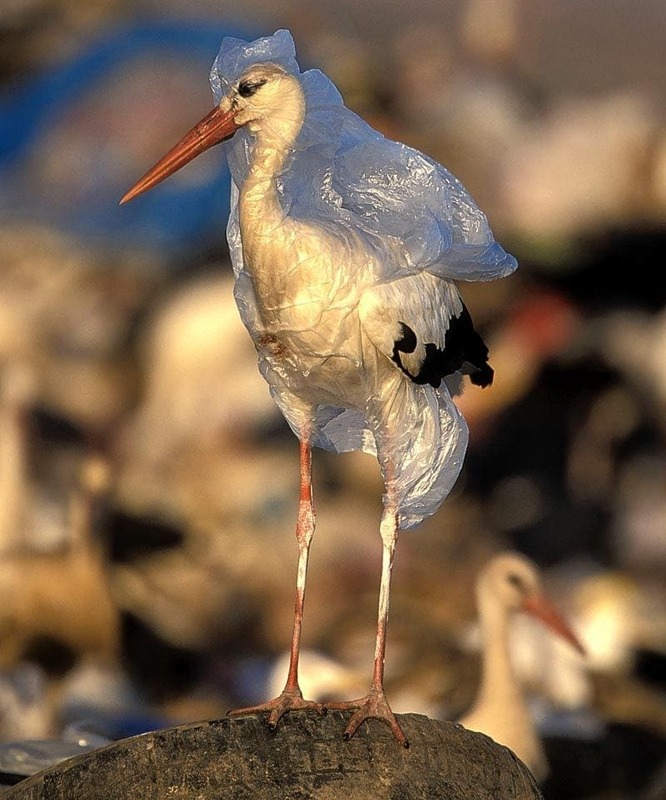 This is actually a beautiful, elegant bird trapped inside a used plastic bag. 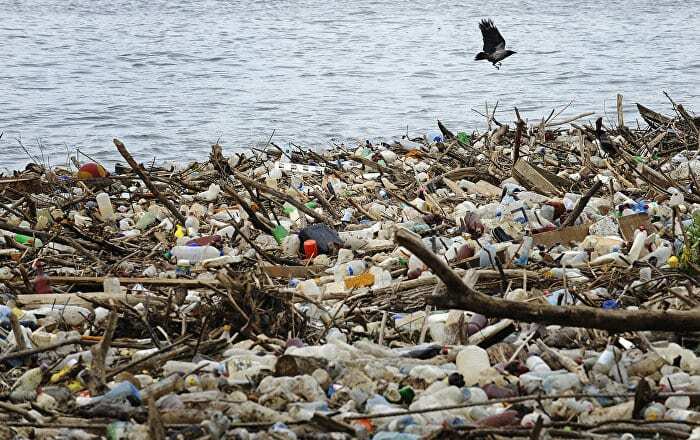 Make sure you recycle plastic as much as possible to prevent this. 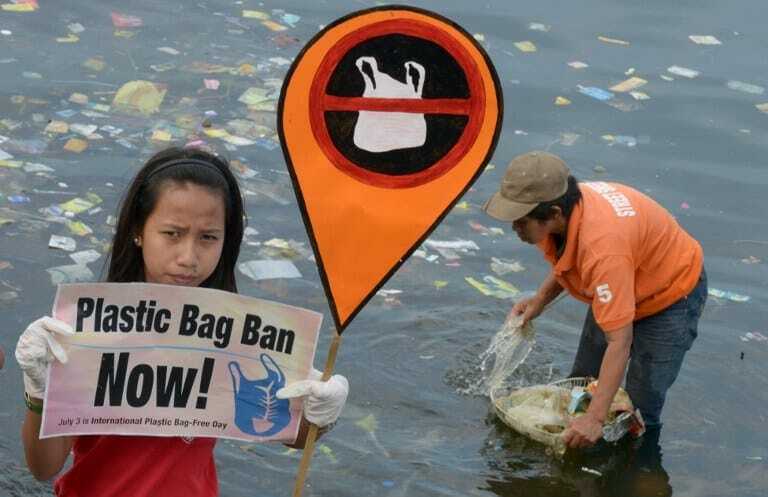 Speaking of plastic bags, do you know how many we waste each year? 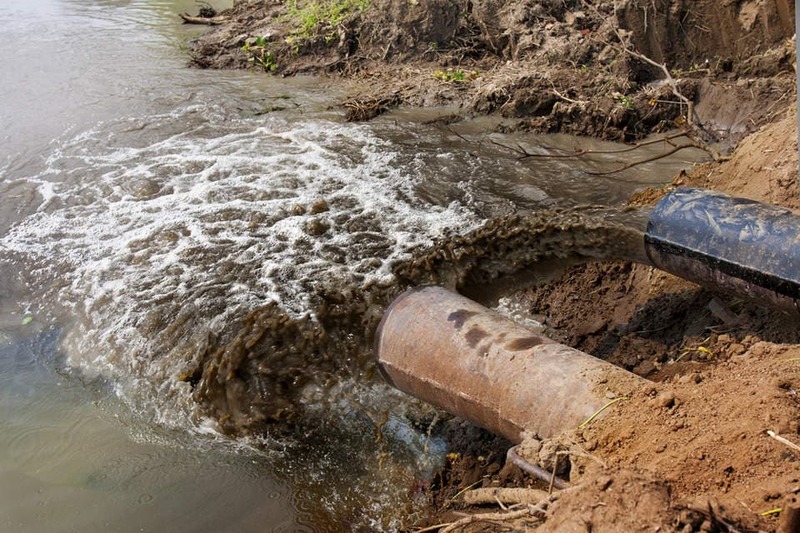 Hundreds of millions as this polluted waterway shows. This girl has the right idea’ bank plastic bags, or at the very least reuse them. The most disgusting and disturbing thing about this picture is that people probably swim in here. Look at the color of the “liquid” that’s pumping into the river. God knows how many germs are in there. Welcome to the effects of deforestation. 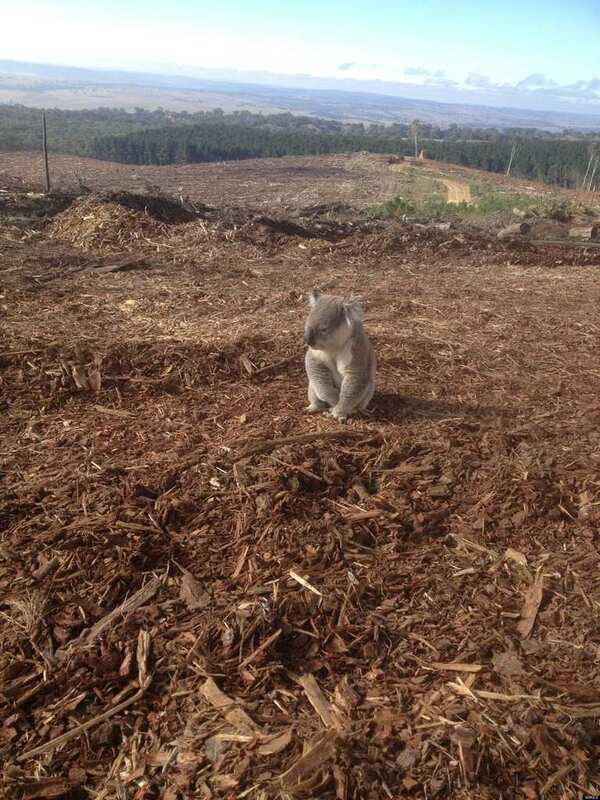 This cute little koala mourns the loss of his home by Australian loggers. They’ve literally torn everything down, and look how ugly the place looks now. Look at how shocked and worried this little guy looks. We have no idea what color this bird is naturally, but we’re pretty sure it’s not tar black! 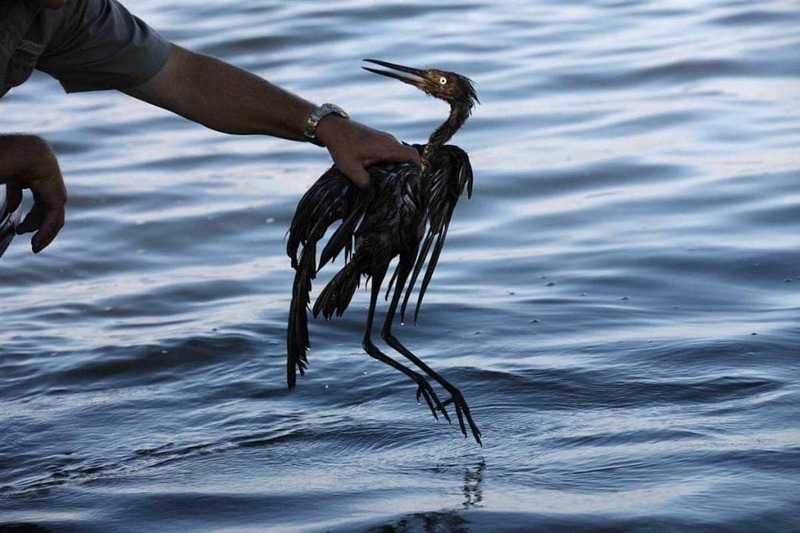 This is the reality of oil spills in the Gulf of Mexico. You’d be forgiven for thinking this photo was taken on the set of a horror movie. Soberingly, it’s actual a real photo, of a real place. This has sort of an eerie appearance because of the trees. Oddly this picture actually looks really beautiful, but that doesn’t necessarily mean it’s a good thing. 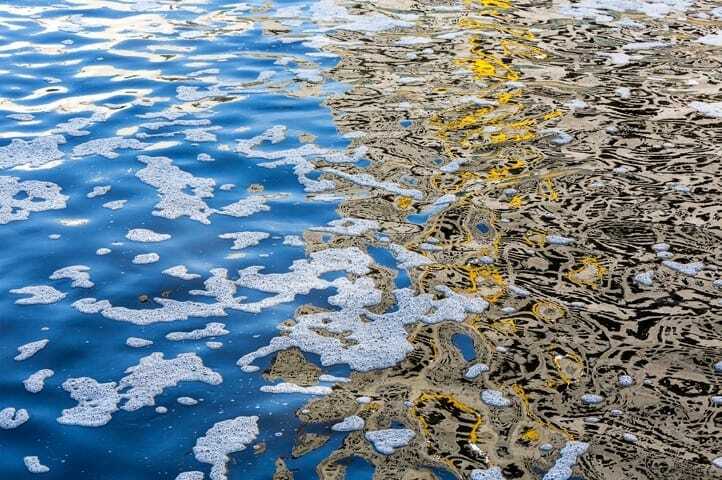 Here we see the deep blue oceans of the world and how they’ve been polluted by oil spills. Sadly, this bird isn’t intentionally trying to disguise itself. 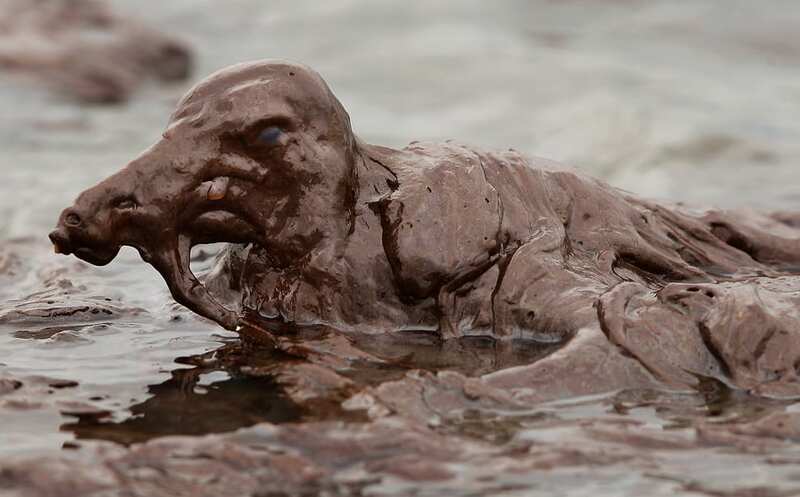 This is actually a young bird fighting a losing battle in the oil of the Louisiana coastline. You’d barely know there was a living creature under there. As you might imagine, keeping the waterways of the world clear is a full-time job these days. Sure, there are clean-up crews, but just think how much work they have to put in every single day. Well, this is the measure of many of the beaches we have to endure today. Get a load of this shark carcass on a Hawaiian beach drowning in a mountain of plastic and rubbish. A good allegory for our society. And we don’t mean rubbish as in not good. 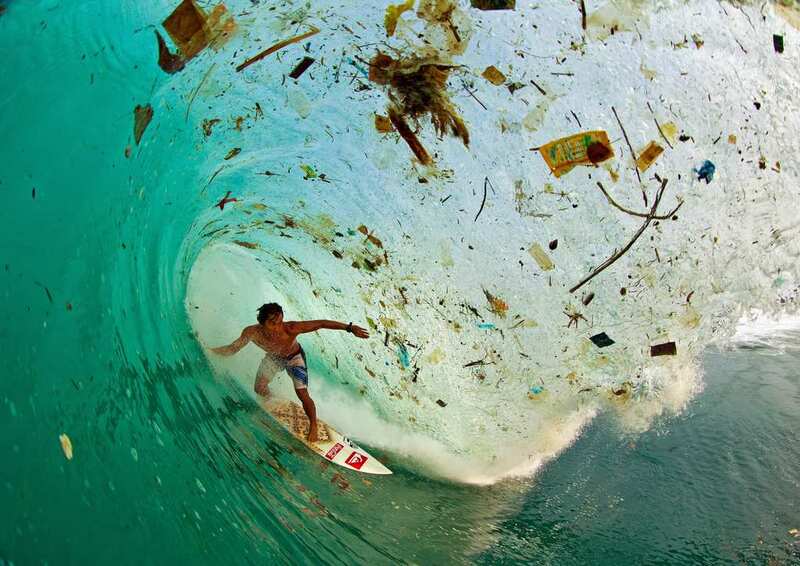 Check out the amount of garbage caught up in the waves this guy is surfing. When we have to come in such close contact, it might remind us how gross it is. We’re pretty sure that at some point there used to be sand under here or at least grass! Now it’s just garbage as far and as wide as the eye can see. Way to go, guys. Way to ruin natural beauty! 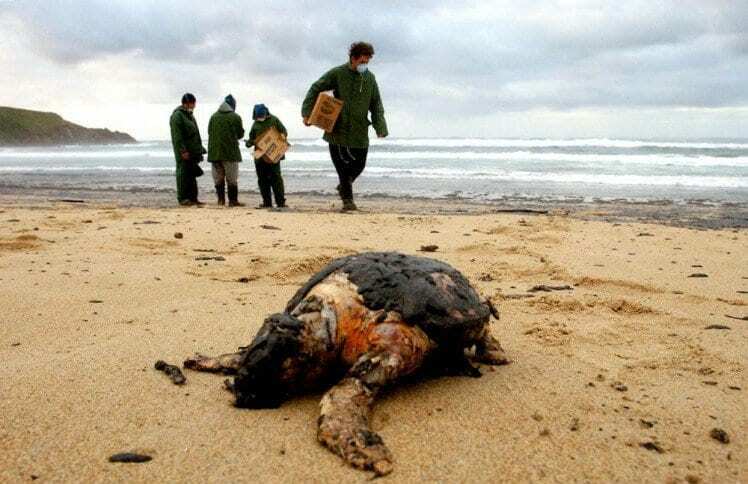 We think that little creature on the ground covered in oil was meant to be a turtle of some kind. You can get a feel for the state of this place by the fact that the guys are wearing face masks. As shocking pictures go, this one has got to be up there. 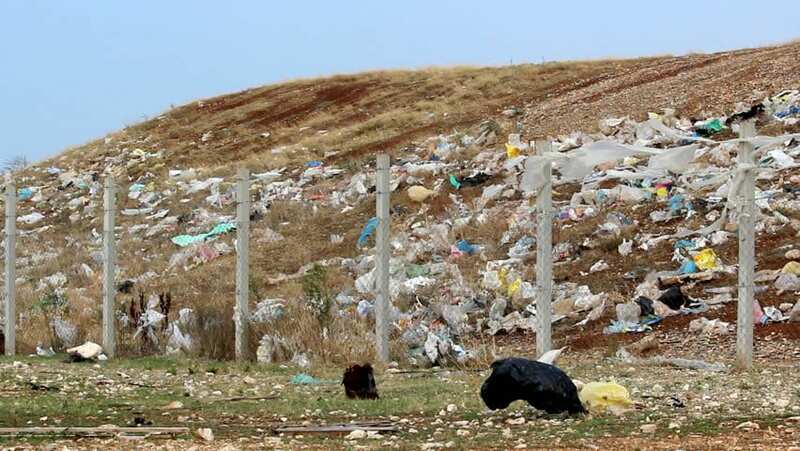 This is a hill of garbage in Beirut with a guy scaling it. We’re not quite sure what he’s after, but we certainly wouldn’t like to switch places with him! How distressing is this picture? 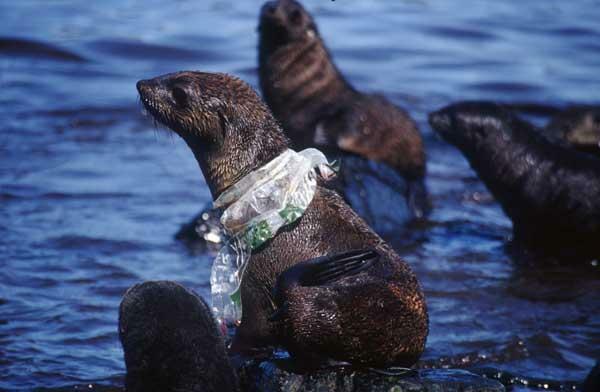 This majestic seal looks in a world of pain as he grapples with the plastic stuck around his neck. There’s already a wound, and this seal will most likely die as a result. 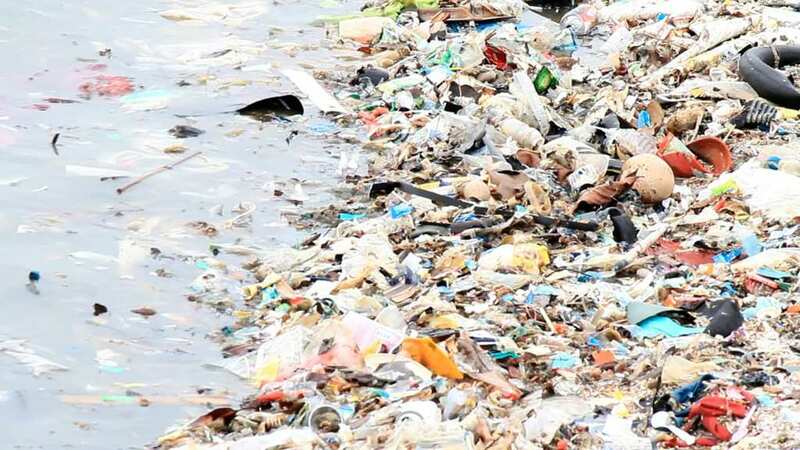 Yet another example of the polluted waters that infest Rio De Janeiro. Look at all these fish lying dead in the polluted water. That’s an ecosystem wiped out, and it can destroy the livelihood of fishermen. It’s easy to take a lot of things in our lives for granted, like running water. 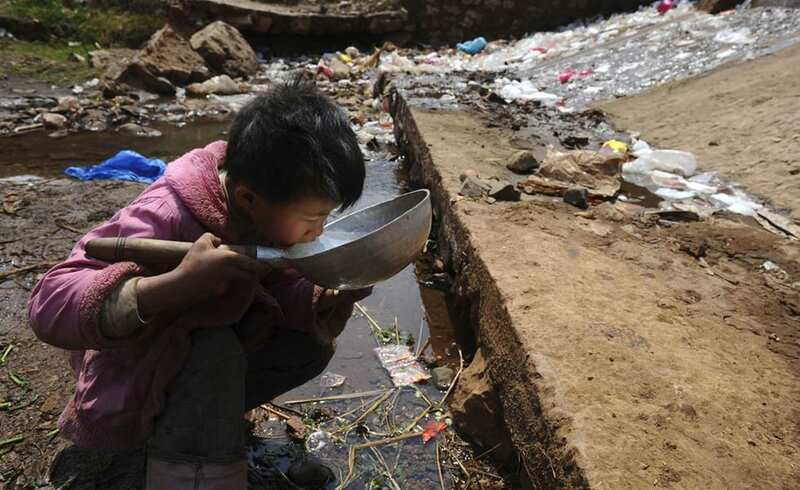 We forget how lucky we are when in some countries in the world some people have to drink polluted water, like this kid. Hong Kong is one of the most polluted places on the planet. And this is an indicator of just how bad it’s become. 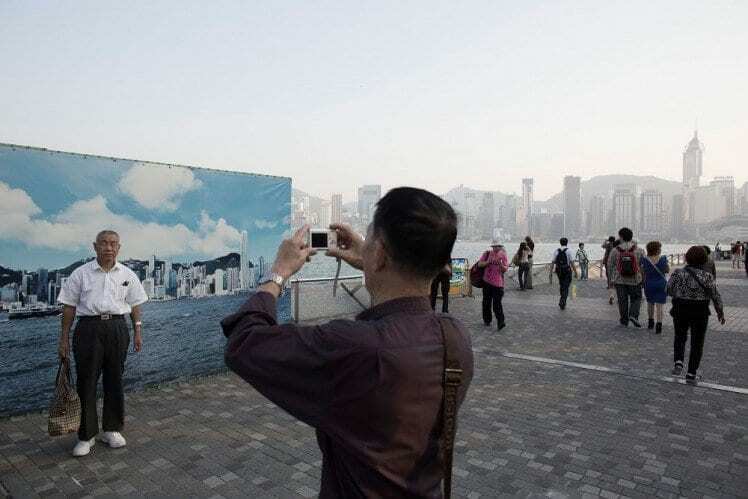 Citizens pose for pictures in front of a fake version of their ideal Hong Kong skyline. It’s tragic and sad. 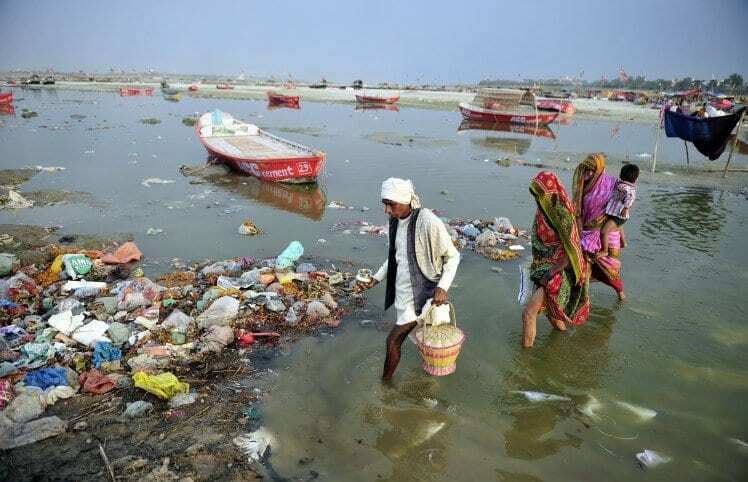 Nobody should ever be in a position where they have to wade through rivers of polluted garbage. But it seems like an everyday occurrence for these poor citizens and their children. That’s just disgusting. 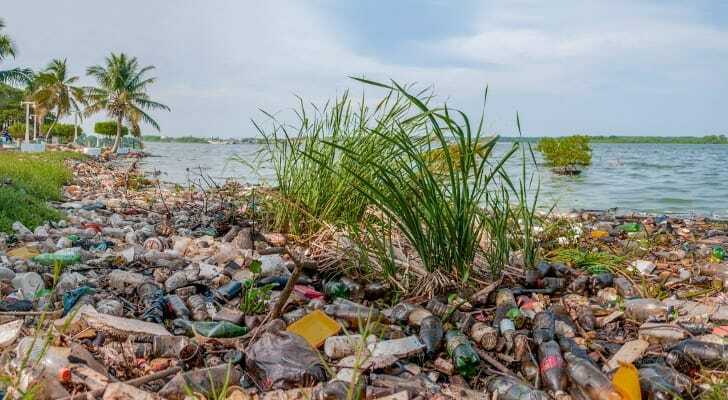 This is a coastline made up entirely from rubbish and litter. 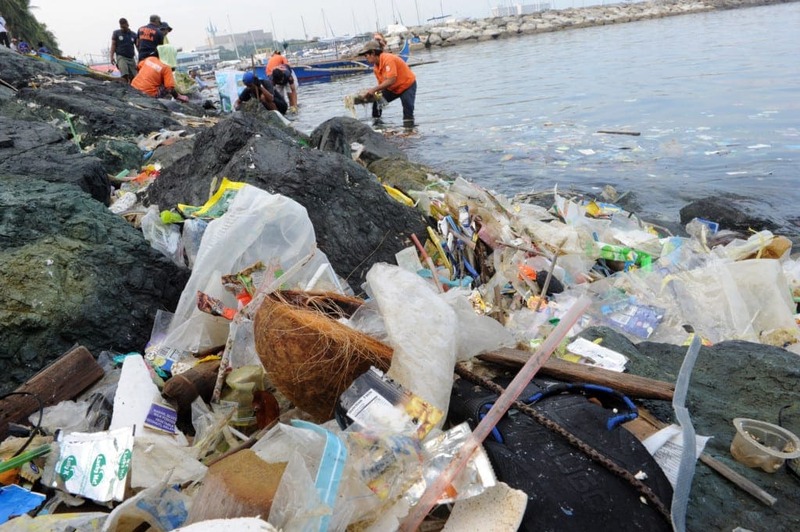 It’s thought that by 2050 there will be more plastic in the ocean than fish. This is a pretty alarming fact, built it’s not on late to change things! 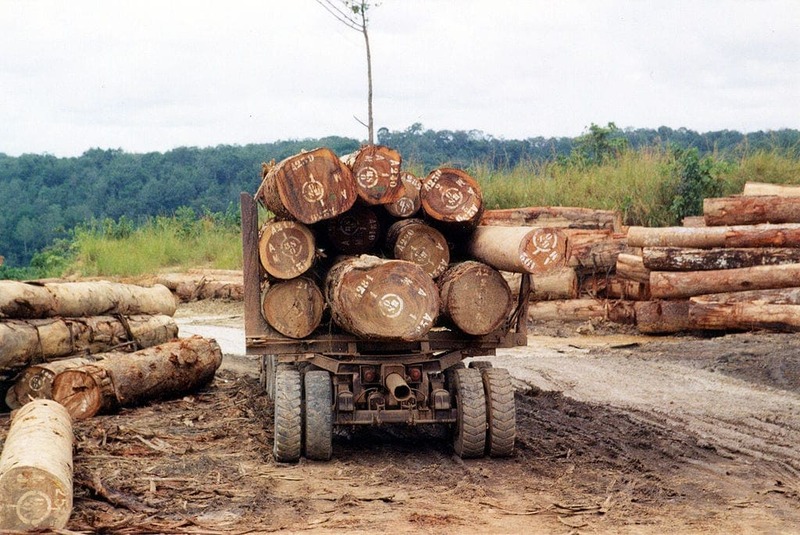 How much longer will we actually have rainforests or even forests for that matter? This is a picture of aggressive deforestation in the Central African Republic. It might not be too long before we start to run out of trees! 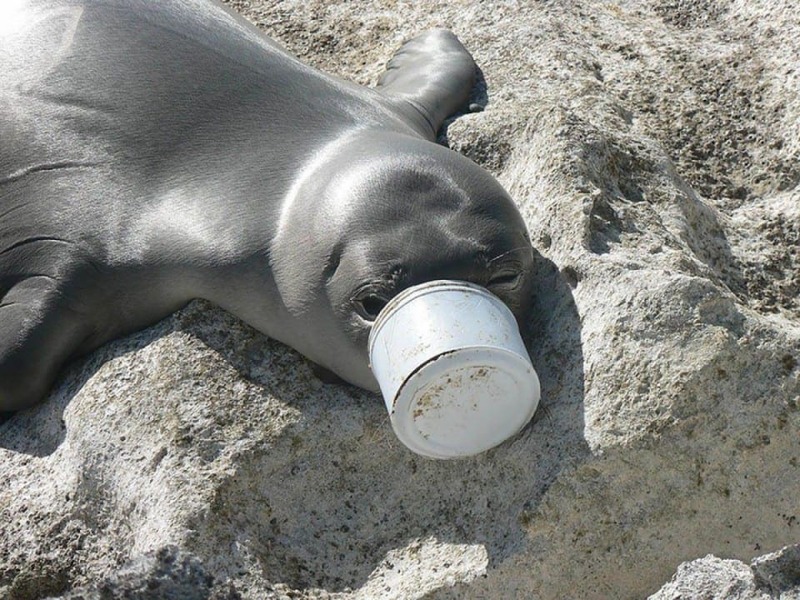 It’s not just out beaches and oceans that feel the brunt of trash and pollution you know?! This picture could have been taken on the outskirts of a city, but it just goes to show that not even the green sprawling hills are safe. Heart-breaking isn’t it? 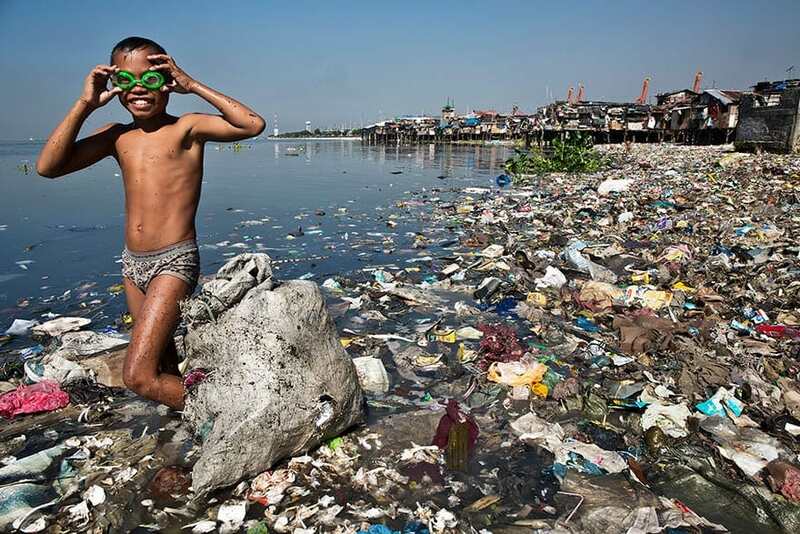 This young boy is forced to swim in disgusting polluted ocean water. He spends his days hunting for recyclable plastics to sell and raise a paltry 35 cents per kilo for his family. This is the sort of sight we should probably be getting a bit more used to. It’s probably an idyllic and picture perfect environment and location. But, now it’s covered in a blanket of plastic bottles. What a scary picture this is. 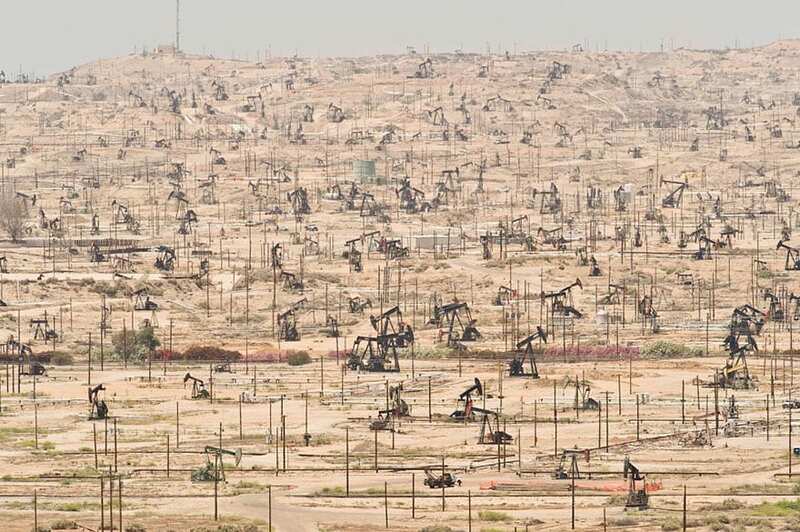 It shows the extent to which the Western world craves and relies on oil. Kern River has been exploited again and again, and we can get a feel for just how far and wide the pollution runs. 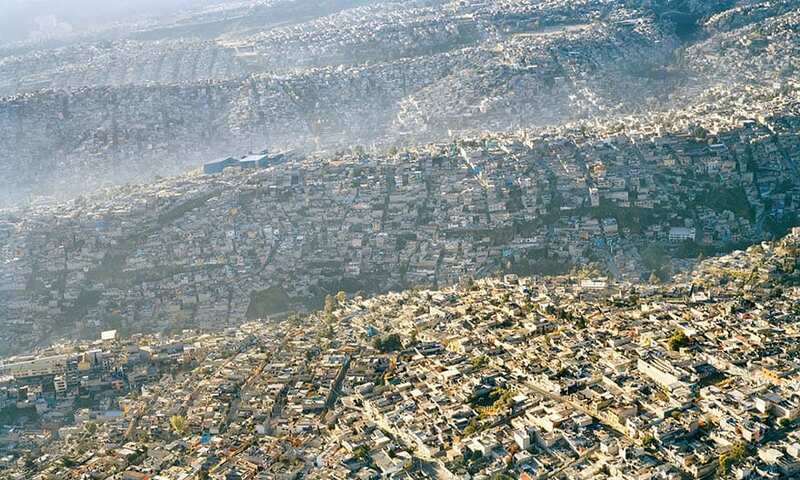 Mexico City is thought to be one of the most polluted cities on Earth, if not the most. 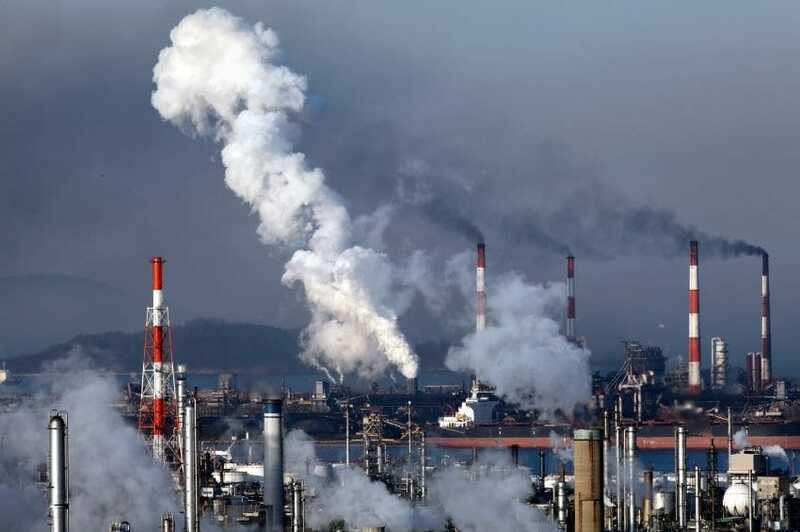 Just from this picture, you can see how much pollution hangs over the city like a cloud of smoke and smog. We wouldn’t like to live here. We shudder to think the amount of health implications this young boy is going to face. 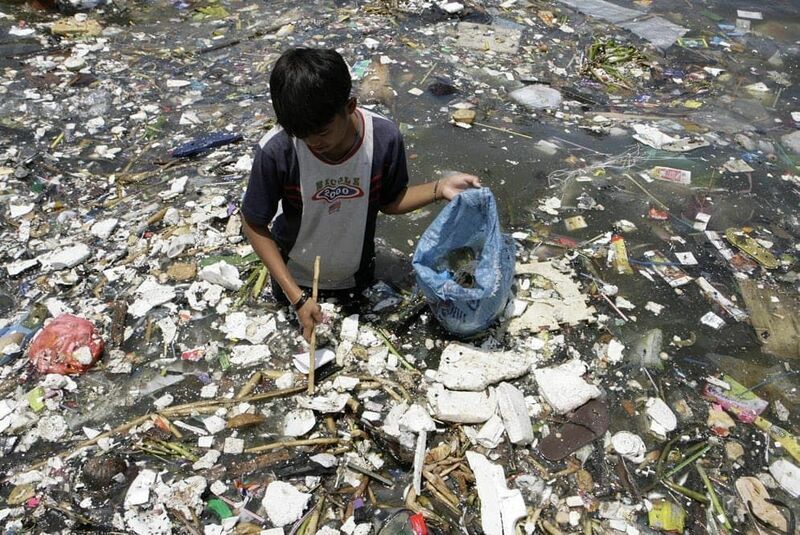 He’s waist deep in one of the thoroughly unpleasant and polluted stretches of the North Pacific. 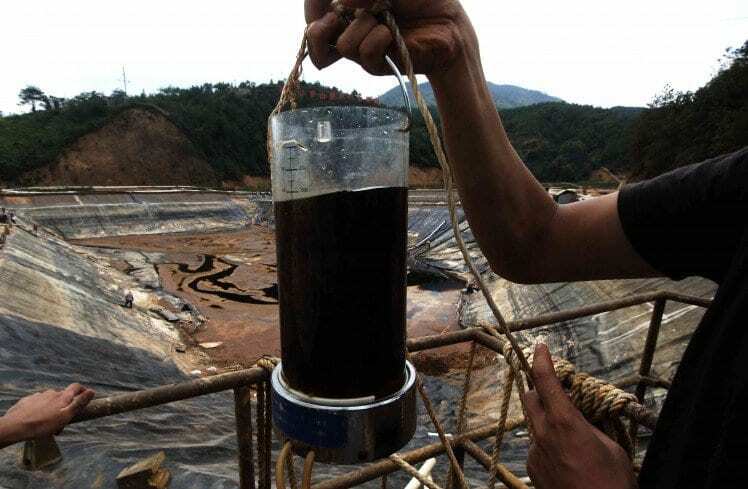 What’s scary is the fact that mining can do this much damage to water very quickly. 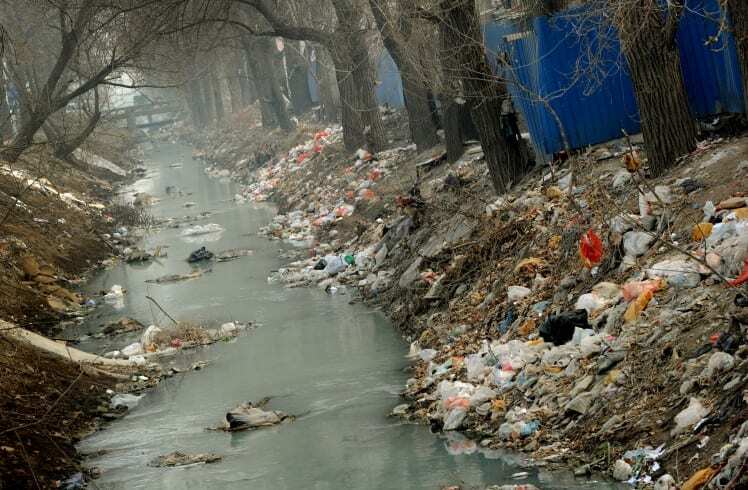 China’s water sources are feeling the brunt of this with unsafe and contaminated water killing wildlife and animals. This is not a model of a bird, although it resembles one! 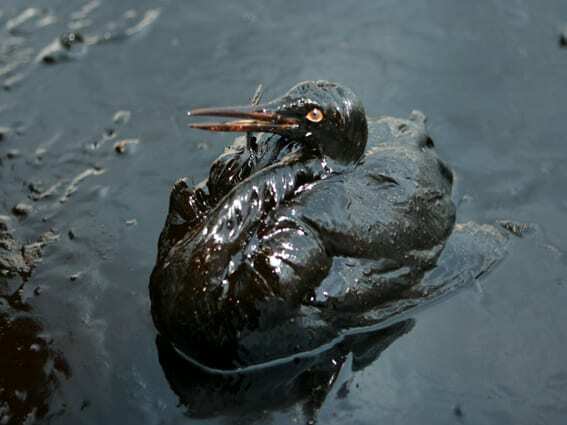 It’s actually yet another example of nature taking a kick in the nuts from careless oil spills. We really hope this bird will get care and attention in time. 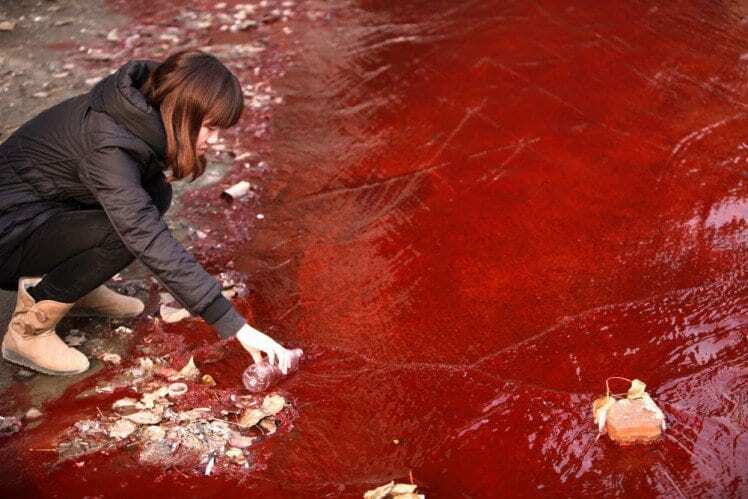 No, this isn’t a river of blood, but it is a river polluted by dye from illegal Chinese workshops. We really hope this girl isn’t actually thinking about drinking from that bottle she’s filling up. What a sorry sight this is. 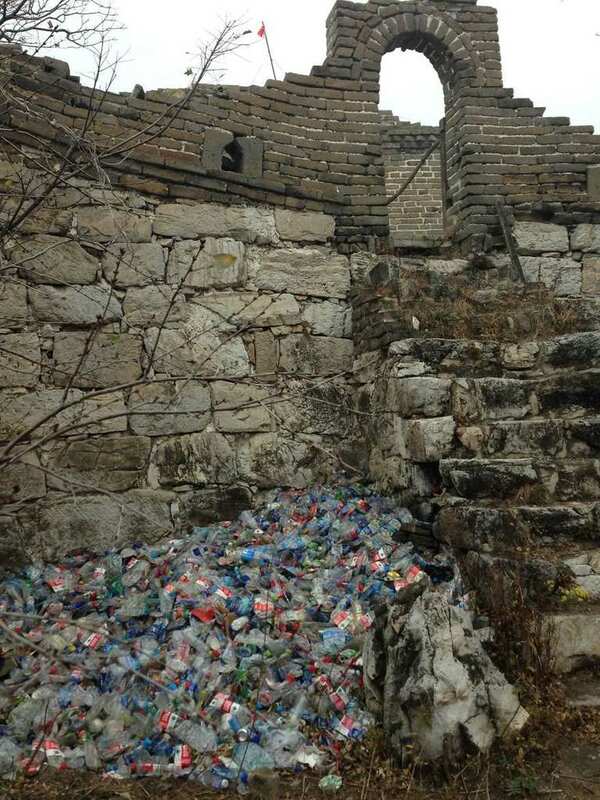 One of the great Wonders of the World, the Great Wall of China, polluted by countless years of neglect, pollution and fly-tipping. There are just no words. Well, this is such a sad and damning indictment on our society. This mountain of technological waste is a monster. 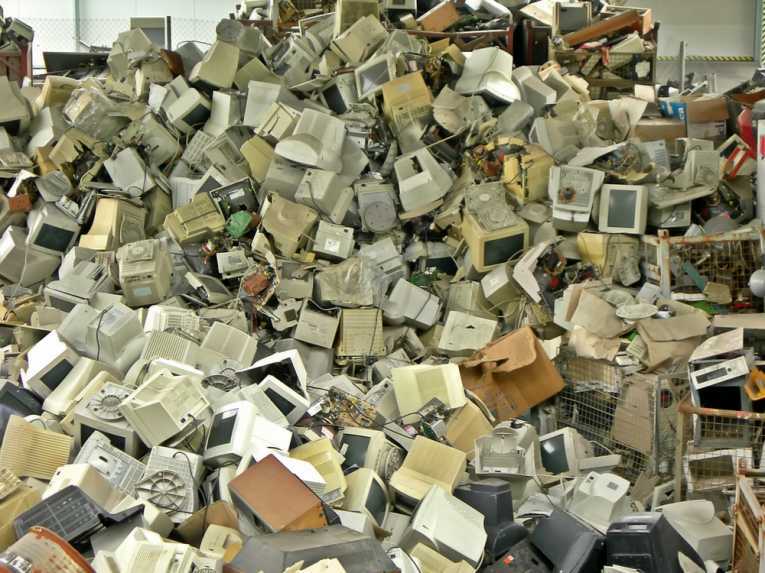 Think how many schools could be equipped with the computers that have been thrown out here. Believe it or not, this boy hasn’t been trapped inside a giant lettuce or broccoli floret. 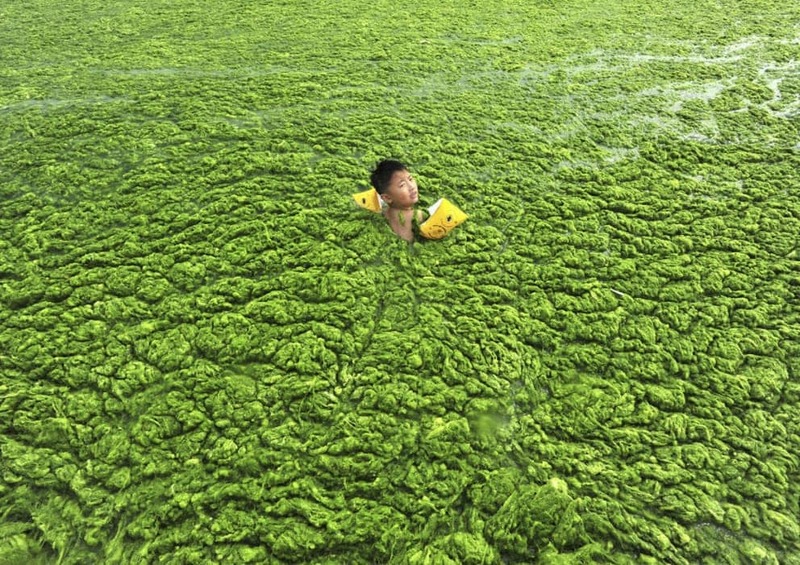 He’s actually swimming in water so dirty it’s almost entirely covered in algae. 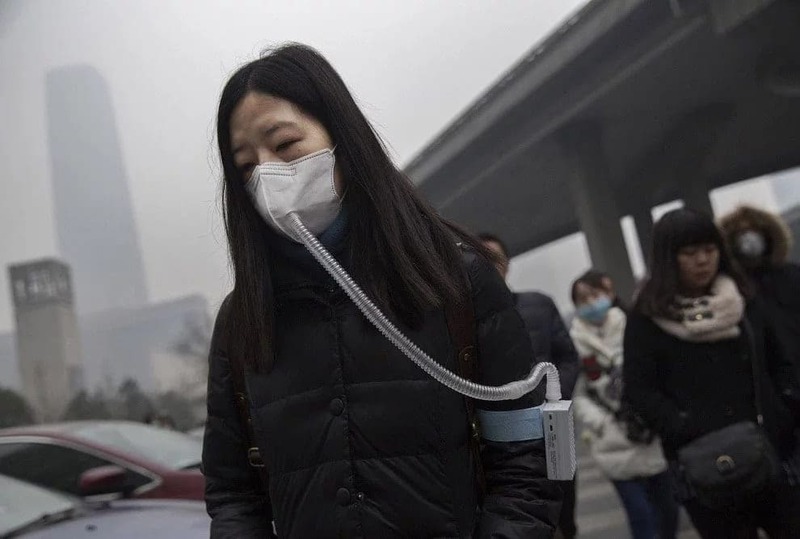 This is yet another of the pollution problems in China. Don’t think it’s just the oceans and lands that are being affected by this pollution. Air pollution is also an increasing problem. Just check out the polluted airways here in certain areas of the U.S.
A photograph with a complex and important message. 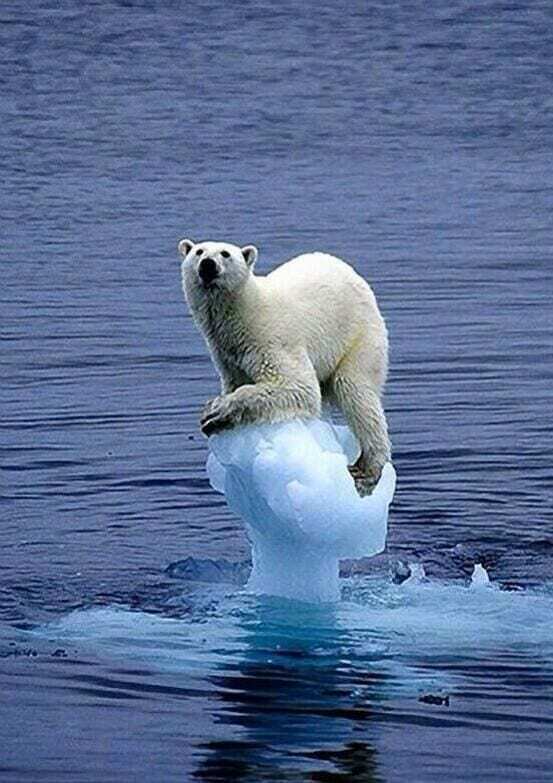 Global warming is a problem that we all have to contend with, and it is no myth. We can’t just turn a blind eye to this as it will destroy our world. It’s easy to assume that pollution is simply a problem in developing nations, but this proves otherwise. 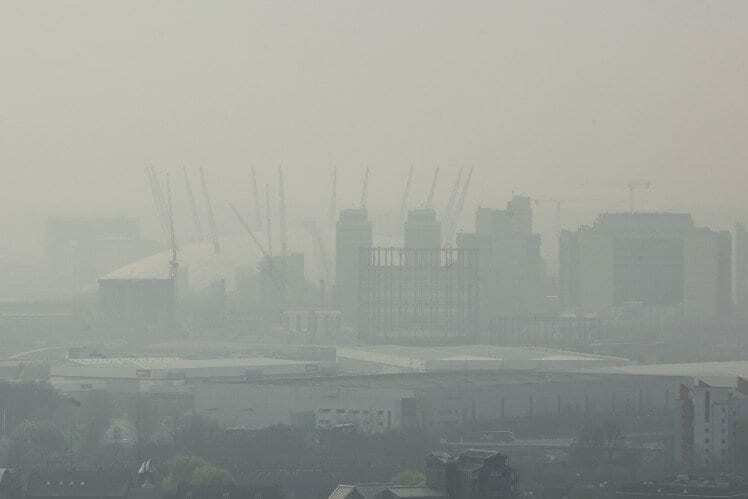 The London skyline is barely recognizable against the smog. This is one of the drawbacks to industry. 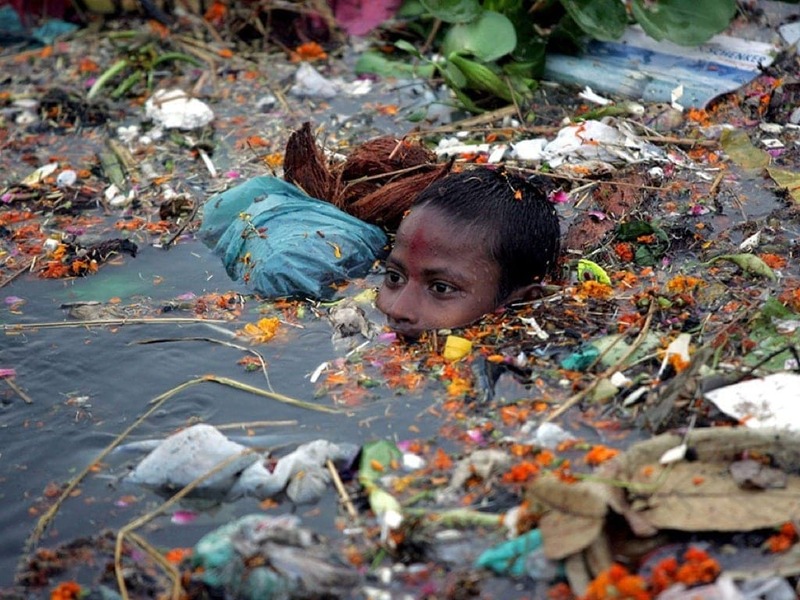 This has got to rank among the most disturbing pollution photos. 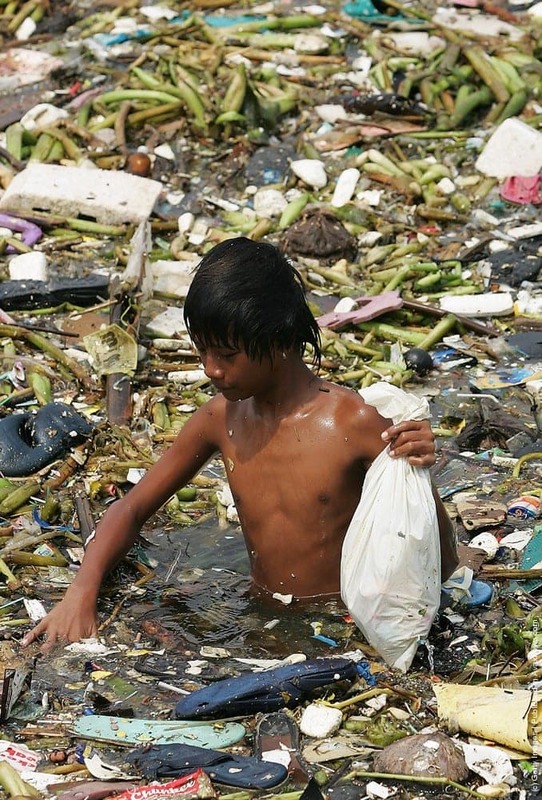 This young Indian boy is having to swim more than neck deep in some of the most polluted water we’ve ever seen. We hope he’s okay!